Elopement has traditionally been more of a ‘spur-of-the-moment’ choice for lovers who want to escape the pressures of a big wedding, however more and more couples are embracing smaller more intimate affairs. Allowing for the opportunity to splurge on other details, such as the dream location or dream dress, rather than catering for large numbers and having to choose who and who not to invite means that the special day is shared with those closest to the couple, making the moments extra special. Having a small wedding doesn’t necessarily require a small venue. Whether you want to get married amongst the trees, in a church or under a pavilion, dreamy locations are just around the corner. 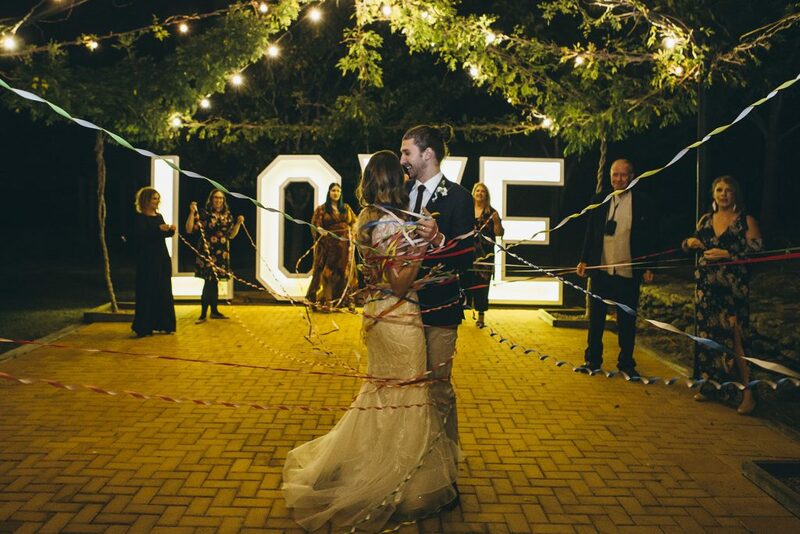 Sitting atop the escarpment just outside Toowoomba, Preston Peak is the perfect venue for weddings of any size, from an intimate gathering for 10 to an extravaganza for 200 or more. Sharing special moments with a special few people makes the day all the more intimate and unique. No awkward encounters with distant relatives when the day is spent with just those nearest and dearest. Smaller weddings also make for a more intimate reception – and much easier seating plans! No need to squeeze everyone into a large room, when just one or two tables will do. Many venues may seem to just be for large weddings, however, there are spaces that can perfectly cater those smaller weddings, such as the Cellar Door at Preston Peak Winery, where wedding guests can sit underneath the twinkling chandelier to celebrate the newlyweds. Opting for an intimate wedding has many advantages – loved ones are there just to celebrate and spend quality time with you, unique and unexpected venues become available and it’s the perfect opportunity to focus on the finer details.